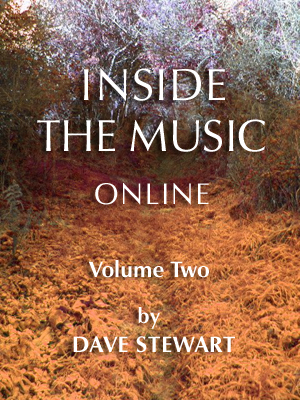 Dave's popular audio-visual 'Inside The Music Online' music articles explain the inner workings of Stewart / Gaskin songs, including transcriptions of keyboard parts and vocal harmonies. Written between 2009 and 2014, the articles contain notation, audio clips (including some slower-tempo 'play along' versions), photos, extensive song and recording notes, musical insights and autobiographical details from the composer. 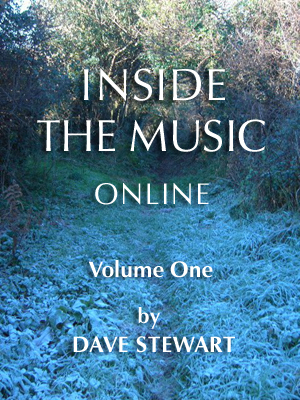 The 'Inside The Music Online' series began in 2009 with a deconstruction of the Stewart / Gaskin song 'Jupiter Rising'. The entire collection of 14 articles (five of which were specially written for this compilation) is now available for download, divided into two volumes. A fascinating, engagingly written glimpse into the unique musical mind of one of the UK's most respected keyboardists and composers. Available now from our online store.